This is the debut album of Sonic Prophecy. Sonic Prophecy is a new traditional metal band from Utah, USA. Sonic Prophecy released an EP in 2009 with the self expository title “2009 EP”. That EP was really great!! The band managed to deliver fresh power metal played with Sonic Prophecy’s unique style. In the new album the band has changed their musical style. They have transformed their straight power metal into symphonic power metal. In this new work there is an emphasis on the symphonic elements of their music. They play their new style good but symphonic metal isn’t my cup of tea. 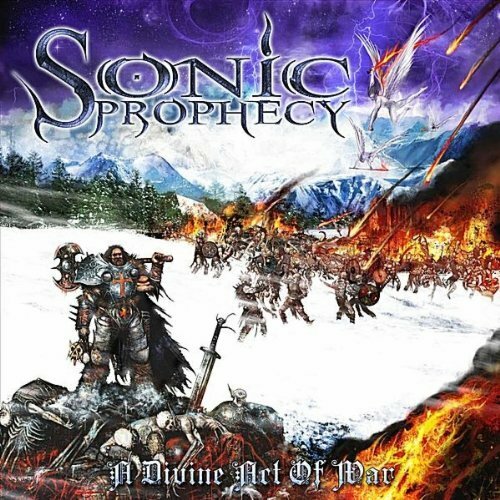 Sonic Prophecy plays symphonic metal really good. The sound production is better than their EP. The new cd also has a really nice 16 page full color booklet. This is pretty rare for a release that was made by the band itself. The album flows pleasantly and some guitar parts that were the trademark of the band continue to exist. The songs that I enjoyed more from the album are “Call of battle” and “Canticle”. In conclusion Sonic Prophecy is one of the good new bands and they manage to play good the style that they choose (heavy/power metal or symphonic power metal). The fans of symphonic metal should buy that (for them the grade is higher of course)! !